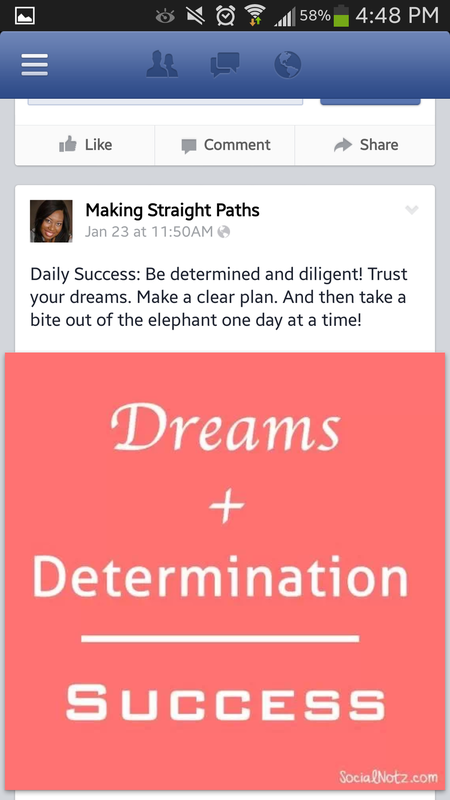 Happy 2014 Making Straight Path Blog readers! I am amazed that it is already 2014. Remember when the 2000’s seemed like science fiction? We do have flying cars (and those that self park! ), gadgets that help us function (Google glasses, smart watches), and homes that run themselves so I guess the future didn't really disappoint. But I wonder if it’s enough? 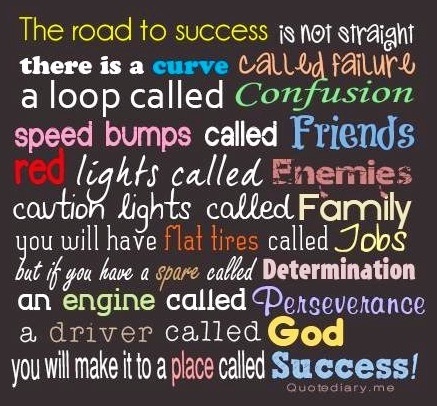 As I reflected on 2013 and what I wanted for 2014 I had this nagging thought about success. Exactly what is success? What does it mean? How does it look? Can it be measured by the naked eye or is it one of those esoteric principles like spirituality? We all want it but sometimes when we achieve what we thought it would look like, we come up feeling kind of disappointed. We admire those who seemingly have it but also watch how destructive some of their lives can become with it. So what is success? To begin I decided to examine all of the great thinkers about what is the definition of success. Those of you who follow me on social media (check out the bottom of the page!) 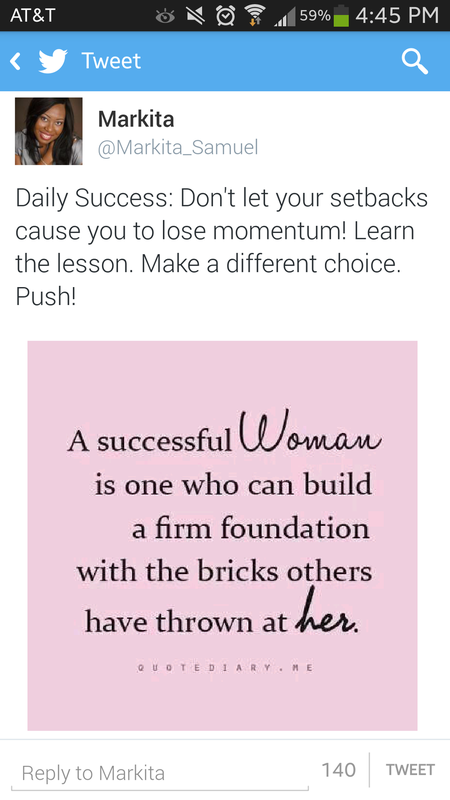 saw my “Definition of Success Campaign (see examples above),” where I took popular quotes and viewpoints on success and shared them along with some questions about our views on success. There were so many different viewpoints. Some focused on effort, while others focused on characteristics like determination, and sacrifice. The real purpose of the posts was to encourage each of us to really view what was our own definition of success. There is no right or wrong but only failure if you never ask yourself the question. My own journey to my definition success started with a review of my previous thoughts of success. I realize that I have had my several definitions of success each at a different stage of life. When I was younger I thought success was how a person looked. Did they have it all together? Did they present themselves in a polished and professional manner? Did they have the outward demonstration of being a good person (popularity, friends, and desirability)? When I got older I decided success really was about how much stuff you had. Did you have a nice dwelling? Did you drive a nice car? Did you have some name brand labels? The next stage was money. How much access to money did you have? Could you make decisions without checking your bank account? Could you spend freely without worry about how you would pay for anything? My last (and current) stage of success focused on personal development or authenticity. I discovered that you can “look” like anything you want. You can also beg, borrow, and steal to get stuff. And that money is just a tool. I began to see that success came from an internal place that no one could see or determine but you. At night when we lay our head on the pillow and prepare to go to bed that is when the truth comes out. You are faced with your choices, your words, your thoughts and no matter how you “look,” how big the house and bed is that you are in, or if you could buy another one tomorrow, we are all faced with the same thoughts. Did I do enough? Am I doing what I love? Am I happy? Is this the life I really want to live? Etc. Etc. Etc. But successful people have a different conversation. They ask themselves, how can I do more of what I did today? How can I help others do what they love? How can I share how thankful I am for the life I live? There is a complete paradigm shift in the mind of the successful. It is so simple yet profound, typical Maya Angelou! See success is something you create, define, and present just like confidence. The difference is that success is built one decision at a time while confidence is built one thought at a time. But they both rest on truths that we choose to accept, believe, and then live. If you truly believe that you are your brother’s keeper, and live each day to help those that you can, to the best of your ability, you are successful! That’s it. Unfortunately, to the unwise helping people can never make one successful because you're giving more than getting. However, those who know the truth know that what you sow you reap. If you put out care, love, and support you will receive the same esp. in ways that you need it the most and never could imagine. Do unto others what you would have done unto you – This is the golden rule and is the foundation of everything! The principle of reaping and sowing or for my New Age friends the principle of watching the energy you put out into the Universe, is what you use to build a life of success upon. It is delusional to believe that you will never be held responsible for your actions even if they are done to people that "deserve" it. The basis of this principle is that we are all living in a connected universe where what you produce will have an effect on other people and vice versa. Hard work trumps talent – This is a popular phrase but at its core is the truth about the nature of success. No one gets anything that has not been paid for by themselves or somebody else (the "No free lunch theory"). In Outliers, Malcolm Gladwell tells us one has to work at something for 10,000 hours to become great. And we know most of our beloved celebrities or famous athletes were honing their crafts from the tender ages of 2 and 3. Success cannot grow without hard work. It doesn't matter how beautiful, athletic, or intelligent you are, application + hard work = success. People reward people that are focused, determined, and willing to work. If you can't be trusted to work hard on your own stuff why will I trust you with mine? Decide what you believe and live it every day – Successful people have a singular focus on what they believe in and focus on only that concept, day in day out. Steve Jobs believed that there could be a world where innovation and style helped people engage better with technology. That is it. His focus on just that helped him to push Apple to become the biggest tech company of our generation. He didn't focus on world hunger, nor how to better the economy. Just how to make better, faster, and beautiful products. This is the purpose principle. Successful people discover what their purpose is and pursue it at the cost of everything. Purpose takes time to discover but the best way to find it is to relentlessly pursue your passion. If its fashion live, breath, and surround yourself with it until you either evolve or discover your niche. Be brave enough to say I will only focus on this one thing and nothing else will take me off that path. My hope for you: I hope that you will decide that you want to become successful. Not mediocre, not just surviving, but be fully all that you can be (in the Army I know, I know!) It will take everything in you to change your mindset about what you really want to do and how you do it. And even more to change your habits but it can be done. The mind is a powerful tool and yours can be used right now to change your forever. I hope that if you need help that you will seek it. Buy a book, attend a class, find a coach, counselor, mentor, whatever! Don't let your inability to know how stop you from pursuing now! There will come a time in your life when you will ask yourself the tough questions and my hope for you is that it will not be too late to change the answers! Below are some resources that I think can help you become more successful! Enjoy! Natalie shares her daily mantras and affirmations in this episode of She Takes on the World TV. Join the conversation after the show at http://www.shetakesontheworld.com/start. Marie Forleo discussing the truth about Overnight Success! Jonathan Fields of the Good Life Project discussing with Michael Gebben of the way to measure success.